The mighty Mount Etna, during the centuries, has threatened and sometimes destroyed what life created on its slopes, but has also given us the harmony of the great Nerello Cappuccio vine variety, one of the most ancient vine varieties of the wonderful Etnean area of Sicily, as if it were a loyalty reward for its faithful farmers and lovers. 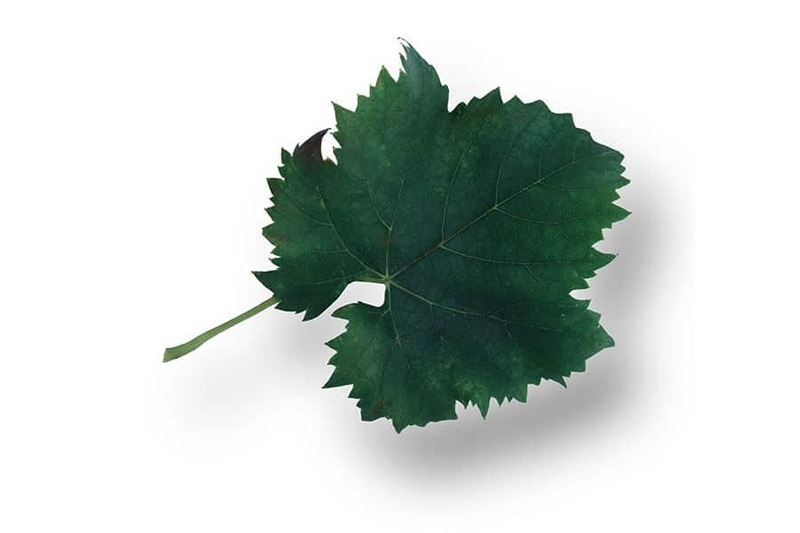 Nerello Cappucio, or Nerello Mantellato, owes its name to the strange shape of its leaves, resembling a cloak (“Cappuccio” means hood in Italian, “Mantello” means cloak). As if they were a cloak, then, these leaves seem to protect what is dearest and most beautiful to them: they embrace their grapes defying with fiery arrogance the mystic elements of Mount Etna, as only the purest vine varieties can do. Even if there is no evidence proving the exact origin of this vine variety, probably it came, several centuries ago, from the plain of Catania and spread into the area of Messina, passing the Strait and reaching the Calabrian coasts. Over the last few decades, it has been facing the risk of complete extinction. The history of Nerello Cappuccio is full of ups and downs, like the story of Sicily itself and, after all, like the personal and intimate history of every living being. That is probably why it is so fascinating that the most intrepid and brave winemakers choose to start growing again this vine variety in the ancient zones between 350 and 900 meters of altitude above sea level, on the eastern slope of Mount Etna. Its more famous and beloved brother, Nerello Mascalese, is enjoying its second youth here, thanks to the production of Etna Rosso D.O.C., a wine containing a 20% of Nerello Cappuccio. 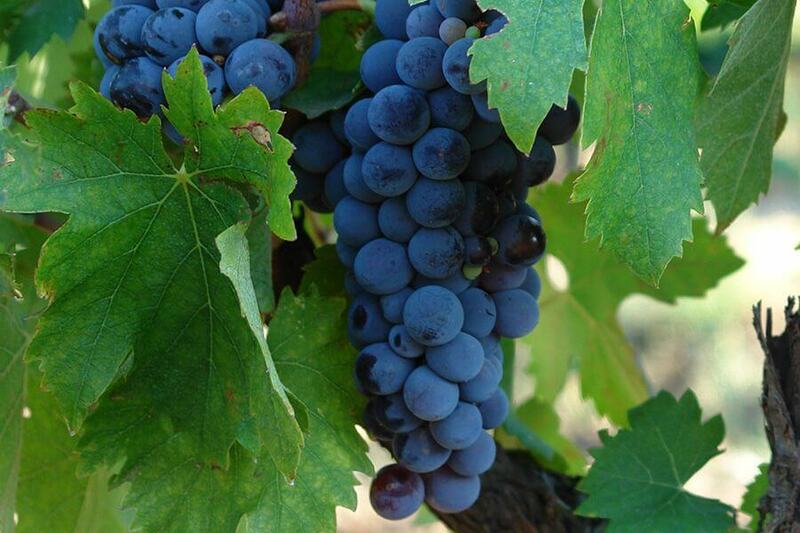 Nerello Cappuccio, nonetheless, is one of the main vine varieties of Mount Etna and presents interesting differences from Nerello Mascalese, both from a phenolic and an aromatic point of view. Because of its high level of anthocyans and its low level of proanthocyanidins, Nerello Cappuccio allows the production of wines of a splendid color, but not suited to extreme ageing. The opposite happens for the wines produced with Nerello Mascalese. The differences between these two vine varieties are already clear from the shape of their bunches: Nerello Mascalese presents a majestic and round shape, while Nerello Cappuccio shows a smaller bunch, as if it was expressing a sort of fear, with an almost ironic pinecone shape. From an aromatic point of view, Nerello Mascalese offers a complex variety of scents: from the typical Muscat notes (terpenic) to hints of tobacco. Nerello Cappuccio presents more subtle and cryptic notes, like wooden essences and vanilla sparkles, which enrich the taste of Etna Rosso D.O.C. and can be clearly perceived when sampled “pure”. Nerello Cappuccio never ceases to amaze us: besides its already mentioned scents, it presents also some floral notes, mainly of preserved fruits like cherry, whereas the floral hints in its bouquet are very subtle, almost faint (a peculiarity that it shares with Nerello Mascalese). It is clear how much these two vine varieties differ, from both a qualitative and a quantitative point of view. In reality, however, Nerello Mascalese and Nerello Cappuccio, which have been confused with one another for a long time, are complementary, as the perfect mix of both vine varieties testifies, according to the percentages provided by the procedural guideline D.P.R. 11/8/1968 on the production of Etna Rosso DOC. 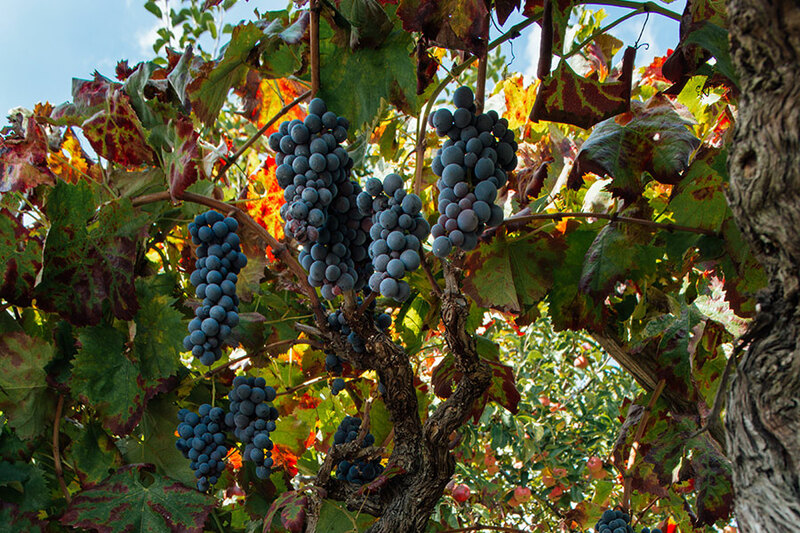 Nerello Cappuccio, cultivated on the slopes of the legendary Mount Etna, with its contribution of 20% gives us magnificent and typical red wines: adding the remaining percentage of Nerello Mascalese allows us to taste some excellent wine examples, which are also particularly suited to ageing. Over the last few years, finally, we have been able to notice enthusiastically a revenge of Nerello Cappuccio that, abandoning its role of “frequent companion” of Nerello Mascalese, is being vinified 100% separately, challenging the standards provided by the traditional winemaking codes. Some brave winemakers, more and more passionate, have started to enhance the true nature of this vine variety with a bit of innovative craziness. 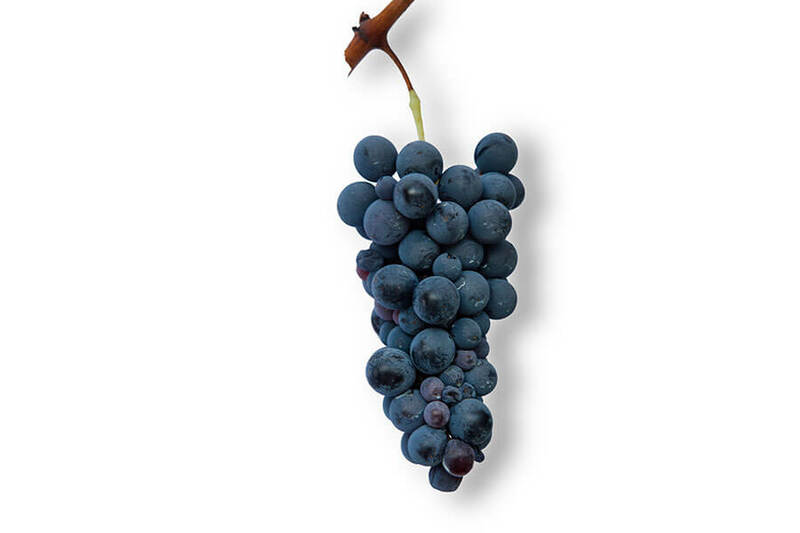 Many particular epithets have been created for Nerello Cappuccio: Nerello Mantellato, Niuru Cappucciu, Niureddu Cappuccio, Mantiddatu Niuru, and many other “nicknames” lost in the history of this fine vine variety, whose first traces date back to 1839, in the area between Trecastagni and Viagrande. The same place where, since 1980, we have been cultivating a small and ancient family vineyard of Nerello Mascalese and Nerello Cappuccio, vinified using only traditional artisanal methods and for private consumption. The most curious people will love knowing more about the peculiar ampelographic characteristics of this vine variety. The vegetation is abundant and the vines are bush pruned. The buds are more globose and harmonic than the ones of Nerello Mascalese, whereas their leaves are unique: orbicular and trilobed, with other two barely shaped lobes, and a u-shaped sinus that sometimes presents a closed line and overlapping edges. Bunches are not as slender as the ones of Mascalese: they are almost squat. Their classic pinecone shape makes them unique and resembles more a truncated cone pyramidal shape; sometimes it seems like a wing ready to fly away. Berries are ovoid and their skin is bright and of a uniform blue-black color, pruinose and very thick. If you close your eyes…you can feel the simple and unforgettable juiciness of their flesh, with its vaguely acid sensation that clashes with their overall pure sweetness. Compared to Nerello Mascalese, the production of Nerello Cappuccio is a bit slower, with a lower sugar content, but no less noble. The shoots of Nerello Cappuccio are generally medium sized and measure about 12 cm. Their cross-section goes from circular to slightly elliptical and their surface presents different nuances, from the brightest hazelnut to a reddish brown, culminating in an explosion of darker and richer shades. The vigour is good, with markedly elongated shoots. The productivity is steady: the budding happens in March, whereas the ripening and the harvest in the second half of October. The wine produced with Nerello Cappuccio presents a bright ruby red with wonderful purple shades, united with a strong, tempting and fruity scent, with ethereal notes if aged. The scent blends and gives way to a full and pleasant taste that, with its accentuated but never excessive tannic sensations, gives us incredible emotions, culminating in a prestigious aromatic persistence. It is an extraordinary vine variety. Its pure expression allows the production of wines that are ideally served with red meat dishes and salty and tasty Sicilian cheeses. It is a passionate and alive vine variety, where we can find all the love and the dedication, the joys and the sorrows, the hopes and the dreams of Etnean winegrowers and their wonderful land.